During business hours, interviews can be scheduled by calling the front desk at the Behavioral Wellness Clinic at (860) 830-7838. You can also call or send a text message to Dr. Williams at (502) 608-7483 (cell). Photo for promotional materials [687 x 980 jpg - 700k]. A short bio appears below. Montano, D. (2019, March 18). Jordan Peele's 'Us': Science Goes To The Movies. Science Friday. Joyner, T. (2019, March 13). How to Recognize a Hoarder and How to Help Them. Get Well Wednesday Segment. Tom Joyner Morning Show. Turner, E. (2019, March 5). Surviving in a Racist Society: Racial Trauma and African Americans. The Breakdown Podcast. Jameel, M. & Yerardi, J. (2019, February 28). Workplace discrimination is illegal. But our data shows it’s still a huge problem. Vox. Jameel, M. & Yerardi, J. (2019, February 28). Despite legal protections, most workers who face discrimination are on their own. Center for Public Integrity. Williams, V. (2019, February 8). The emotional toll of Virginia's blackface scandal. About Us section. The Washington Post. Lekhtman, A. (2018, Dec 18). Pioneering UConn MDMA Research Focused on People of Color: Next Steps for Equity in Treatment. Psychedelic Times. Lekhtman, A. (2018, December 4). The Burgeoning Psychedelics Movement Still Excludes Women and People of Color. Filter. Rodríguez, J. M. (2018, November). MDMA Para Las Víctimas Del Racismo de Estados Unidos: Entrevista a Monnica Williams. Cáñamo. Suarez, C. (2018, November 8). Free Your Mind, and Your Nonprofit Will Follow: Racial Equity in Psychedelic Research. Nonprofit Quarterly. Rao, S. (2018, October 31). Black Scholars and Healers Use Psychedelics to Treat Race Based Trauma. ColorLines Magazine. Watson, E. C. (2018, October 30). Black Americans Are Building A Space In Psychedelic Drug Culture After Being Ignored For Decades. Okay Player. Ofgang, E. (2018, October 22). Psychedelic Drugs Show Promise For Treatment of PTSD. Connecticut Magazine. Sullivan, K. (2018, October 1). Black Americans Are Being Left Out of Psychedelics Research. Vice Tonic. Lekhtman, A. (2018, August 1). A Healing Trip: Psychologists Are Testing MDMA to Treat the Trauma of Racism. Merry Jane. Moore, J., & Buller, K.. (2018, July 24). Exploring Race-Based Traumatic Stress and MDMA-Assisted Psychotherapy. Psychedelics Today. Lekhtman, A. (2018, July 17). A Psychedelic Study In Connecticut Aims to Bridge the Racial Gap in MDMA Psychotherapy. Psychedelic Times. Krieger, K. (2018, July 16). Unraveling. UConn Health Journal. PR NEwswire. (2018, July 10). Psychedelic Feminism Grants Hand Talking Stick to Women of Cannabis and the Psychedelic Renaissance. Markets Insider, Business Insider. Bain, K. (2018, June 26). Psychedelics are going mainstream, because the mainstream needs them. Vice. Cerqueira, C. (2018, May). What Are Microaggressions? AJ+. Krieger, K. (2018, May 15). MDMA opens door for PTSD patients to work through trauma. UConn Today. Storrs, CT.
Smith, N. (2018, April 15). Why are Black women suffering from PTSD? Atlanta BlackStar. Scrivani, M. (2018, April 5). Dr. Monnica Williams sheds light on the negative mental health impacts of racial trauma. The Daily Campus. Storrs, CT.
Young, L. (2018, April 3). ‘It’s a traumatic moment’: How everyday racism can impact mental, physical health. Global News. Canada. Savage, K. (2018, April 2). Remembering the Brutal Tactics of the Baton Rouge Police. Juvenile Justice Information Exchange. Gallucci, N. (2017, December 16). A guide to achieving your 2018 self-care resolutions. Mashable. Meyerson, C. (2017, December 1). Protesters Against Police Violence Risk the Very Thing They’re Fighting. The Nation. Hampton, J., Mekawi, Y., & Miller, A. (2017, December). Diversity Spotlight. Clinical Science Newsletter. Society for the Science of Clinical Psychology. Staff. (2017, November 7). Texas church shooter. [international television]. Washington DC: RT America. Banks, A. (2017, October 5). Vegas gunman was chasing for high: money, gambling & finally mass shooting [international television]. Washington DC: RT America. JBHE Research Studies. (2017, September 18). Psychologists Find White College Students Continue to Hold Prejudicial Beliefs. The Journal of Blacks in Higher Education. Powell, N. (2017, September 14). 5 Ways To End Stigmas Against Mental Health Care in Communities of Color. Everyday Feminism Magazine. UConn Communications. (2017, September 6). Study: Racism Rooted in Small Things People Say and Do. UConn Today. Tucker, B. & Turnage, C. (2017, August 25). To Help Students Heal After Hate, Meet Them Where They Are. The Chronicle of Higher Education. Gomez, A. M., & Crunden, E. A. (2017, August 23). Here’s what happens when white supremacy goes viral. ThinkProgress. Grisby, L. (2017, June 13). Aggressive, biased policing can have negative health implications for many. The Colorado Trust. Denver, CO.
Cerqueira, C. (2017, June 1). What can you do if you see a racist rant in public? AJ+. Ransome, N. (2017, April 27). Why I Don't Want to Be a Black Activist. Vice. Wing, N. (2017, April 11). Call The United Incident What It Is: Police Violence. Huffington Post. Harris, A. (2017, April 5). 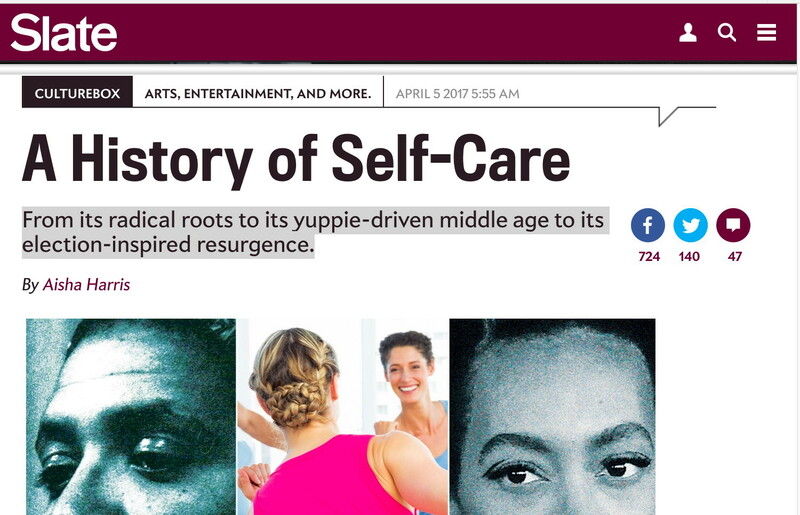 A History of Self-Care: From its radical roots to its yuppie-driven middle age to its election-inspired resurgence. Slate Magazine. Pierre, K. E. (2017, March). A Pound of Flesh — Racial PTSD [radio]. True 2 Soul Network. Toronto, Canada. Saunders, R. (2017, March 10). Post Traumatic Stress Disorder. Episode #412 [radio]. Science for the People. Borges, A. (2017, February 16). Here's What Therapists Want You To Know About Being Politically Active. BuzzFeed. Moore, C. (2017, January 10). Homosexual OCD is a Thing, and Thousands of Americans Suffer From It. Out Magazine. Veny, M. (2016, December 18). Depression vs. The Strong Black Man [blog]. Transforming Stigma. Francis, B. (2016, December 5). Obsessive-Compulsive Disorder. Episode 31. Not Broken Radio Show. Hellerman, C. (2016, December 1). Using Ecstasy to treat PTSD: I felt like my soul snapped back into place. PBS Newshour. Heins, S. (2016, November 23). How To Talk Politics With Your Pro-Trump Family on Thanksgiving. Gothamist. Godlasky, Anne. (2016, November 12). People are crying: It's not because they lost a race. USA Today. Godlasky, Anne. (2016, November 11). What are microaggressions? USA Today. Web Staff. (2016, November 11). How Racism Impacts Your Health. New Journal Guide. Winerman, L. (2016, October). Left Out. Monitor on Psychology. 50-53. Mendoza, J. (2016, October 13). Police shootings and social media: Why some black people believe no one cares. Christian Science Monitor. Williams, M. (2016, October 6). Column: White people don't understand the trauma of viral police-killing videos. PBS Newshour. Iles, W. (2016, September 26). Trauma And Social Media: When Black Death Goes Viral. HuffPost UK. Downs, K. (2016, September 26). Twitter Chat: Coping with black trauma in the age of viral videos. PBS NewsHour. Chan, M. (2016, September 23). Research: Exposure to shooting videos can cause PTSD-like trauma [television]. Washington DC: RT America TV. Kelley, C. (2016, September 21). The Talk of Chicago. 1690 AM. Chicago: WVON. DeVega, C. (2016, September 9). A Conversation with Dr. Monnica Williams About Race, PTSD, Identity, and Mental Health. The Chauncey DeVega Show. Podcast. Jackson, I. J. (2016, September 2). The Trauma of Police Brutality. USA Today. Scott, I. M. (2016, August 27). It's Called "Battered Race Syndrome." Or, Something Like That. Huffington Post. McGirt, E. (2016, August 9). raceAhead: A Data-Driven Approach to Tackling Racism. Fortune Magazine. McGirt, E. (2016, August 8). Two Years After Ferguson, What Has Changed? Fortune Magazine. Scott, I. M. (2016, August 7). Getting Past the Pain: Trauma, Depression, and Mental Health in the African American Community. 411: Conflict Transformation. TRIBE Channel/blogtalk Radio Show. Hancock, E. (2016, August 1). The Mental Health Costs of Racism. UConn Today [Storrs, CT]. Shockman, E., Intagliata, C., & Wetsman, N. (2016, July 30). What does racism do to your health?. KERA News. Shockman, E. (2016, July 30). What does racism do to your health? Science Friday. NPR & GlobalPost/PRI. Harrison, M. (2016, July 25). Can racism cause post-traumatic stress disorder? The Louisiana Weekly [New Orleans]. Exstrum, O. (2016, July 25). Therapy offered for anguished activists. The Inquirer [Philadelphia]. Alfaro, J. (2016, July 22). After the Violence and Videos, Therapists Learn to Treat Racial Trauma. YES! Magazine. Downs, K. (2016, July 22). Black pain gone viral: racism, graphic videos can create PTSD-like trauma. PBS Newshour. DeVega, C. (2016, July 18). All hate is not created equal: The folly of perceiving murderers like Dylann Roof, Micah Johnson and Gavin Long as one and the same. Salon. Novick, I. (2016, July 15). This Is Your Brain on Violence: How Watching Regular Mass Killings on the News Can Cause Serious Health Impacts. Alternet. Zielinski, A. (2016, July 13). The Singular Trauma of A Child Who Loses A Parent To A Police Shooting. ThinkProgress, Health Reporter. Lewis, C. (2016, July 12). Videos of police brutality are everywhere. What does watching them do to us? Vox, Science & Health Column. DiGiulio, S. (2016, July 11). How To Help Your Child Sleep After A National Tragedy. Give them a little extra TLC. Huffington Post. News Reporter. 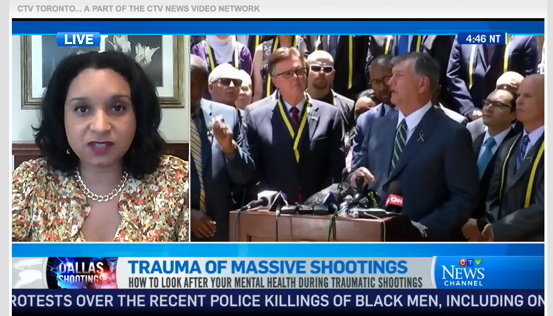 (2016, July 10).Trauma of Massive Shootings: How to Look After Your Mental Health During Traumatic Shootings [television]. CTV Toronto. Paquette, D. (2016, July 9). 'How do I teach my son to stay alive? ': The collective trauma after violence. Washington Post. Yasmine, S. (2016, July 9). In search of a safe place, Dallas police officers gather to talk, seek solace. Dallas Morning News. Adetiba, L. & Almendrala, A. (2016, July 8). Watching Videos of Police Brutality Can Traumatize You, Especially If You're Black. Huffington Post. Yasmine, S. (2016, July 8). Healing after trauma: What to expect as Dallas goes through grieving process. Dallas Morning News. Chan, M. (2016, July 8). Tragedies in America [television]. National News Special Report. RT America TV. Petronzio, M. (2016, July 8). How to not feel helpless following a week of traumatic violence. Mashable. Paquette, D. (2016, July 7). 'This is the brain on horror': The incredible calm of Diamond Lavish Reynolds. Washington Post. Dwyer, L. (2016, July 7). The Collective Trauma of Watching the End of Black Lives. TakePart. Love, D. (2016, June 5). Post-Traumatic Slave Syndrome and Intergenerational Trauma: Slavery is Like a Curse Passing Through the DNA of Black People. Atlanta Blackstar. Love, D. (2016, June 3). PTSD and Mental Health Disorders in Black People Linked to Trauma From Racism and Violence. Atlanta Blackstar. Hockenberry, J. (2016, May 5). Study Addresses Link Between Discrimination and Stress [radio]. The Takeaway. New York, NY: WNYC. Hebert, M. (2016, May 5). Racism is causing mental health issues for African Americans [television]. Channel 192. Louisville, KY: KET. Hebert, M. (2016, April 11). PTSD and mental health issues caused by racism [radio]. UofL Today. 93.9 FM. Louisville, KY. Mental health in the Black Community [radio]. (2016, March 26). PraizePower 1350 WLOU and The New Praize 104.7 FM. Louisville, KY.
Johnson, J. (2016, March 29). Feds Say Medicaid May Be Link To Mental Health, Substance Use Treatment. 89.3 FM. Louisville, KY: WFPL. Cunningham, K. (2016, March 23). Where to get help for PTSD [television]. WAVE 3 News. Louisville, KY: WAVE. Deangelis, T. (2016, February). Envisioning a better world. Monitor on Psychology, 47 (2), 79-82. Richardson, S. S. (2016, January 28). Families of police shooting victims form bonds built on loss. The Chicago Reporter. Salters, J. N. (2016, January 27). PTSD: On Trying to Drive and Breathe While Black. 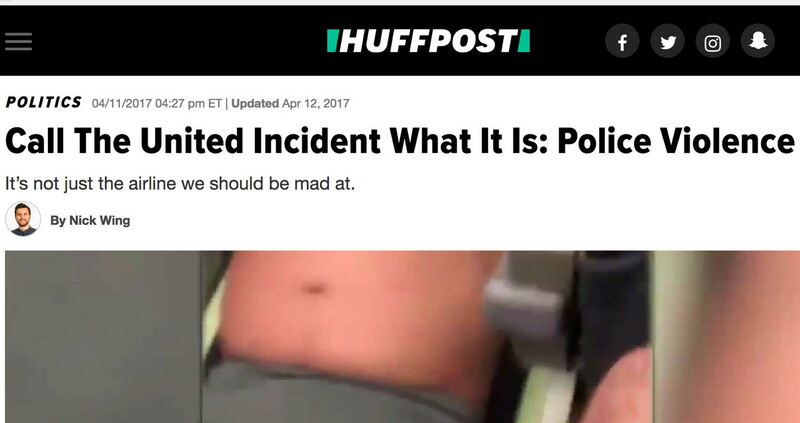 HuffPost. Hallman, C. (2015, September 13). Attacked all My Life, Part 3: One Black man's lifelong battle with U.S. racism. Minnesota Spokesman-Recorder. Johnson, J. (2015, September 3). Improving Health for African-Americans Means Reducing Violence [radio interview]. Louisville, KY: WFPL (NPR affiliate). Sophy, C. (2015, August 21). Living with OCD [podcast interview]. Dr. Charles Sophy, psychiatrist, drsophy.com. Johnson, J. (2015, July 20). A Conversation on Racial Disparities in Mental Health Treatment [radio interview]. Louisville, KY: WFPL (NPR affiliate). Gillette, H. (2013, June 6). The science behind Susto — a Latin American folk illness. Saludify. Bowdan, A. (2012, February 24). The Mind of an Accused Killer. WLKY TV News (CBS). Louisville, KY.
Price, C. (2012, March 12). Your Body Explained: Why People Bite Their Nails. Parade Magazine, Philadelphia, PA.
Johnson-Wilson, L. (2010, Sept 21). Obsessive-Compulsive Disorder & African American Women, The Examiner.com Washington DC. Jackson, P. (2010, March 14). African Americans and OCD [radio]. Bala Cynwood, PA: WDAS FM Clear Channel Radio. Durham, M. (2008, February 23). Philly rated a stressful place to live [radio]. Philadelphia, PA: KYW Newsradio 1060. McNamara, D. (2004, August). Be sure to differentiate between OCD, cultural differences. Clinical Psychiatry News, 32 (8), 32. Layfield, M. (Oct 25, 2001). One-Track Minds: Examining OCD. Cavalier Daily, University of Virginia, Charlottesville, VA.
Dr. Monnica T. Williams is a board-certified licensed clinical psychologist and Associate Professor at the University of Connecticut in the Department of Psychological Sciences and Department of Psychiatry. She is also Clinical Director of the Behavioral Wellness Clinic, where she provides supervision and training to clinicians for empirically-supported treatments. Prior to her move to Connecticut in 2016, Dr. Williams served as the Director of the Center for Mental Health Disparities at the University of Louisville in the Department of Psychological and Brain Sciences. Dr. Williams’ research focuses on African American mental health, culture, and psychopathology, and she has published over 100 scientific articles on these topics. Current projects include the assessment of race-based trauma, unacceptable thoughts in OCD, improving cultural competence in the delivery of mental health care services, and interventions to reduce racism. This includes her work as a PI in a multisite study of MDMA-assisted psychotherapy for PTSD. She also gives diversity trainings nationally for clinical psychology programs, scientific conferences, and community organizations. Dr. Williams is a member of the American Psychological Association (APA), having served as the diversity delegate from Kentucky for the APA State Leadership Conference for two consecutive years. 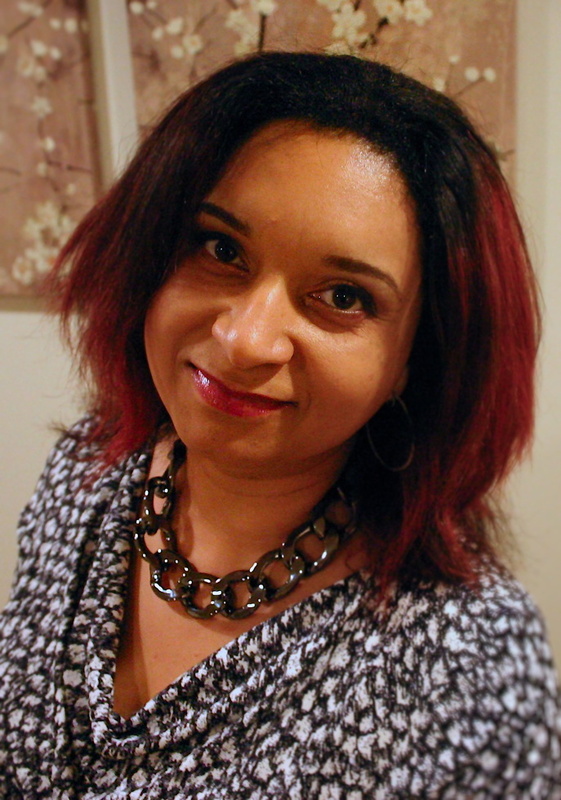 She is the African American SIG leader for Association of Behavioral and Cognitive Therapies (ABCT), and she serves as an associate editor of The Behavior Therapist and New Ideas in Psychology. She also serves on the editorial board ofCognitive Behaviour Therapy, and the Journal of Obsessive Compulsive and Related Disorders. She is a member of the Scientific Advisory Board of the International OCD Foundation, and is also the co-chair of their Diversity Council. Her work has been featured in several major media outlets, including NPR, Huffington Post, and the New York Times.